In our blog post “What is the Demographic Dividend?” we explored the benefits that may result when a country’s age structure changes due to falling birth rates. But keep in mind that while lower fertility is a precondition for the demographic dividend to happen, the actual benefits are largely dependent on a country’s social, economic, and political environment. The demographic transition in South Korea began after the Korean War in the late 1950s. South Korea began its first national family planning campaign in 1962 to reduce unwanted births and the program was considered essential to achieving goals of economic growth and modernization. Consequently, total fertility rates fell from 6.3 births per woman in 1960 to 2.2 in 1985, eventually reaching 1.2 in 2005, well below the replacement rate. Additionally, fertility drops were matched with a dramatic increase in life expectancy from 53 to 79 years old between 1960 and 2005. Key reforms in public health, family planning, and education, paired with economic growth, set up the textbook demographic dividend. This sound policy environment created an opportunity where the demographic transition ultimately resulted in an “economic gift” of enhanced labor supply, savings, human capital, and economic growth. Going from a high fertility rate with low-life expectancy to low fertility and high life expectancy gave baby-boomers in South Korea a chance to form a large and young labor force, contributing to unprecedented economic growth. Additionally, increasing the workforce’s proportion of highly educated women who were able to remain in careers not only boosted growth but also increased family incomes. In fact, according to national statistics, labor force participation of women of childbearing age (20-29) had increased from 45 percent in 1980 to almost 65 percent in 2004. The young and old consume more than they produce, whereas the working-age population tends to have both a higher level of economic output and a higher level of savings. Improved health and longevity also make saving easier and more attractive. Thus, as South Korean baby-boomers reached middle age, national savings rose and contributed to capital accumulation and high economic growth. South Korea started investing in education by erasing the Japanese multi-tiered educational system to a more egalitarian system. This investment led to one of the most educated populations in the world; 63 percent of 25-34 year olds have a college degree, the highest among OECD countries, and South Korea is ranked as one of the top education systems in the world. This, in turn, contributed to rapid economic development through a skilled labor force. And because of lower fertility rates, relatively fewer children were attending school, leaving more disposable income at the household level and creating healthier and better living environments for families. These changes in population size and age structure certainly contributed to economic growth by supplying a growing and young labor force to the economy. Additionally, South Korea followed an export-oriented development strategy for its economic policy where exports became more than half of the country’s GDP, with China as its major trading partner. 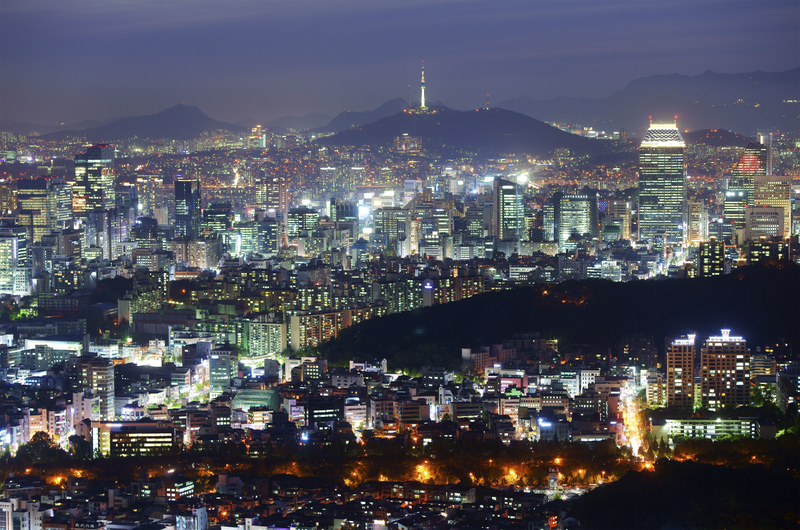 The rapid industrialization of the country has resulted in rapid urban growth and transformed cities across South Korea over the past 50 years. As a result, South Korea has had one of the fastest growing economies with the GDP increasing on average of four percent per year each year. South Korea demonstrates that a demographic dividend offers countries the potential opportunity to stimulate economic growth and development and improve well-being for their people, but its success ultimately requires integrated demographic, political, economic, and social policies that fit the local context.